In its earlier years, Newville, Pennsylvania was a bustling community, and the Cumberland Valley Railroad was responsible for much of the activity. 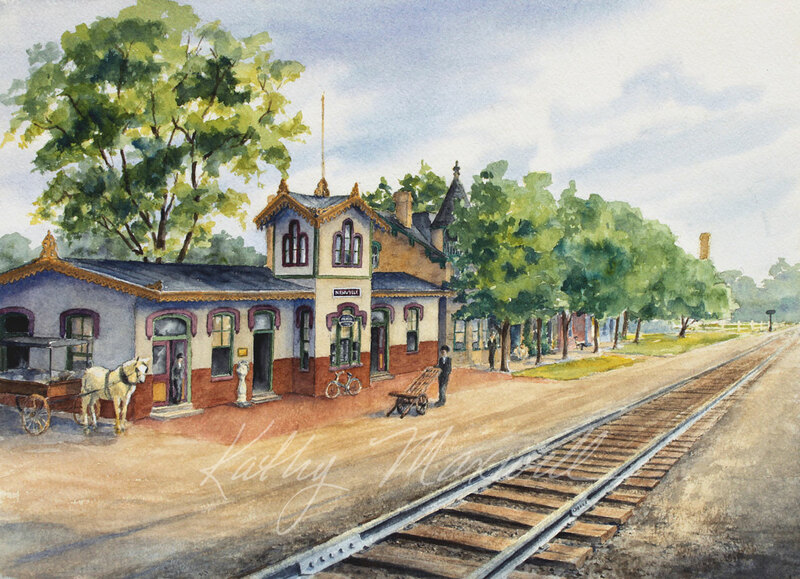 The first train went through in 1837, and from that time on until the station was decommissioned, raw materials, manufactured goods, and passengers made the area near the station a busy part of town. In 1876 this Italianate station replaced an earlier one, and it continued in service until the mid 1950’s. The station was torn down in 1994.